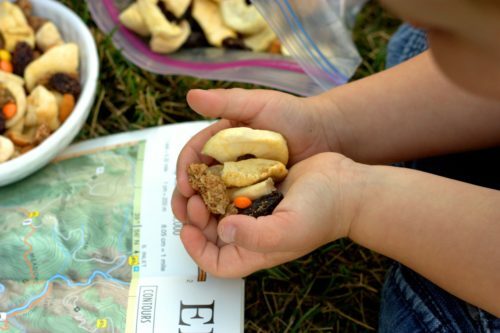 One of my family’s favorite treats on road trips or hikes is trail mix. It often seems that we have hardly left the driveway before we are opening up the bag to sample the treat. 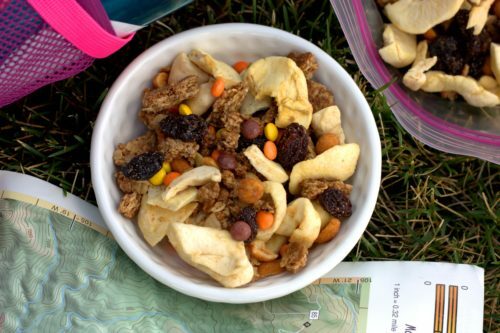 I tend to gravitate towards a mix that is heavy on the dried pineapple and papaya, but for this week’s adventure I wanted to make something different, resulting in my Baked Apple Trail Mix. Perhaps it is because school is just getting back into session that I had a craving for a soft, warm and sugary baked apple. Regardless of the reason for my longings, I thought that transforming the popular fall dish into a snack item would be a fun twist. 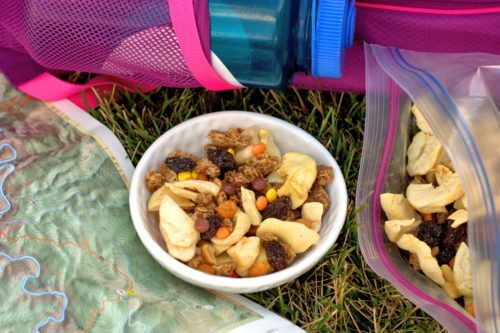 I mixed together dried apples, raisins, honey roasted peanuts, mini Reese’s pieces bits, and cinnamon flavored granola chunks for a quick and delicious trail mix. 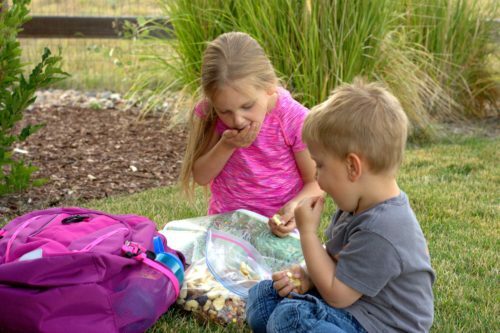 My kids LOVED this Baked Apple Trail Mix, so much so that I don’t think there would be any left for our outdoor adventures this week. 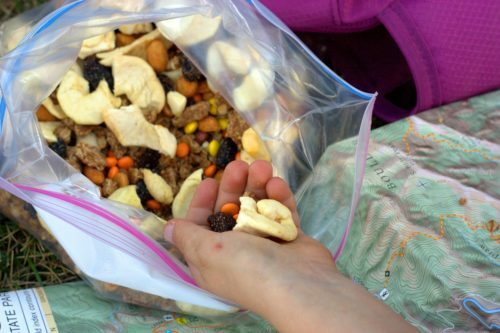 Mix the ingredients in a large bowl, then and transfer to and store the trail mix in a gallon size sealable bag. This entry was posted in Party, Side Dish and tagged snack.